Sorry for the silence; it has been a very busy few months. But I'm back with a quick announcement. 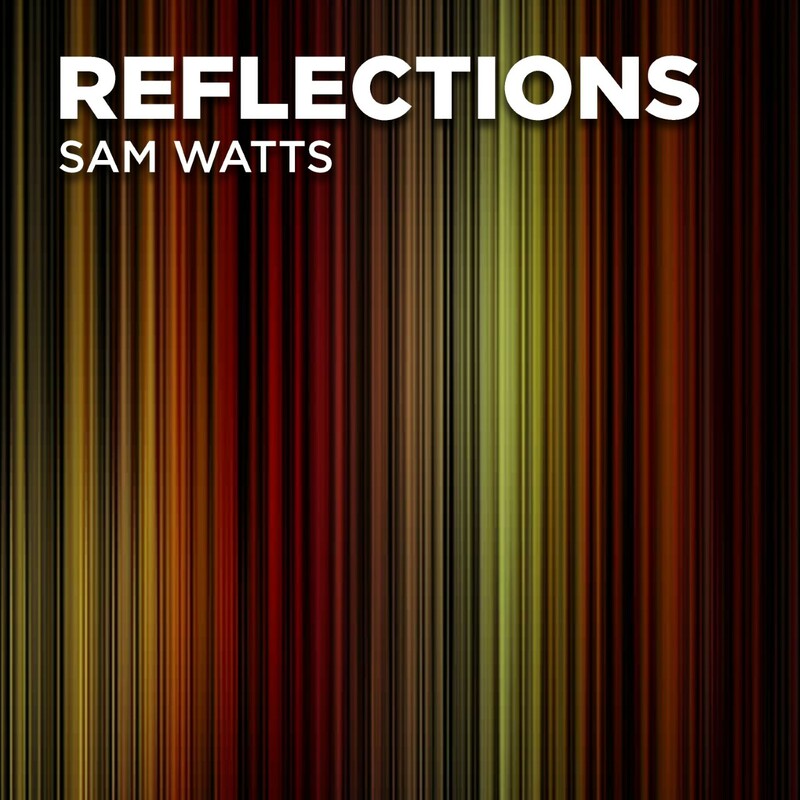 My new album, Reflections, is out TODAY! It's now available to buy online via iTunes, Amazon and many more – and to stream on Apple Music, Spotify and other streaming platforms. 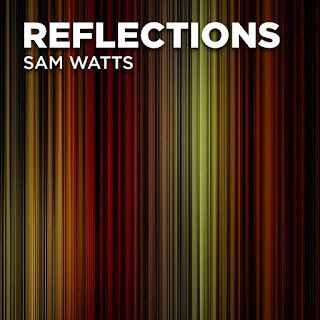 I hope you enjoy listening to this album as much as I enjoyed writing and recording it. I'll be back soon with a more in-depth post about Reflections! Sorry I haven’t written a post in a while. I’ve been swanning around Quebec City and San Diego as you do – a little bit of work, a little bit of holiday, which is always nice. But I’m back and I’m raring to go. Library music, also known as “production music” and sometimes “stock music” (like stock photos), is music that hasn’t been written for a specific project, but is licensed (or lent out, if you like) to companies for use in a TV show, film, commercial, or whatever they want music for. Often, a library album will be written to a theme – something like “dark documentary”, “Hollywood action”, or “fantasy orchestral” – with a number of tracks in a very similar style. This makes it easy for editors, directors, or music supervisors to find the kinds of music they need. For example, somebody making a documentary on gang crime can find the “dark documentary” library and pick tracks from it, whereas somebody making a superhero feature film can look at “Hollywood action” music for the big fight sequence. There are many production music companies out there who specialise in obtaining and placing library music. They all work slightly differently, but generally, they ask a composer to write an album – for instance, Bosworth (the company I mostly write for) have me writing an 8-bit video game album at the moment – and then put it into the catalogue of music they sell and try to get placements for it. The full version is the track in all its glory. The underscore version is a slightly thinned-out version of the original track. For this, I often take any melody away and I sometimes thin out the orchestration (depending on the style of music) so that I end up with what my brother Dan and I call “wallpaper” music – music that is really unobtrusive and easy to edit, which library albums often need because they are going to be used across a number of different productions*. Then the cut-downs are needed. The 29-second version is often useful in pre- and post-title sequences. The 15-, 10-, and 5- second versions are often just the last bit of the full track; in fact, the 5-second version often ends up being a few notes or sometimes even a single chord. 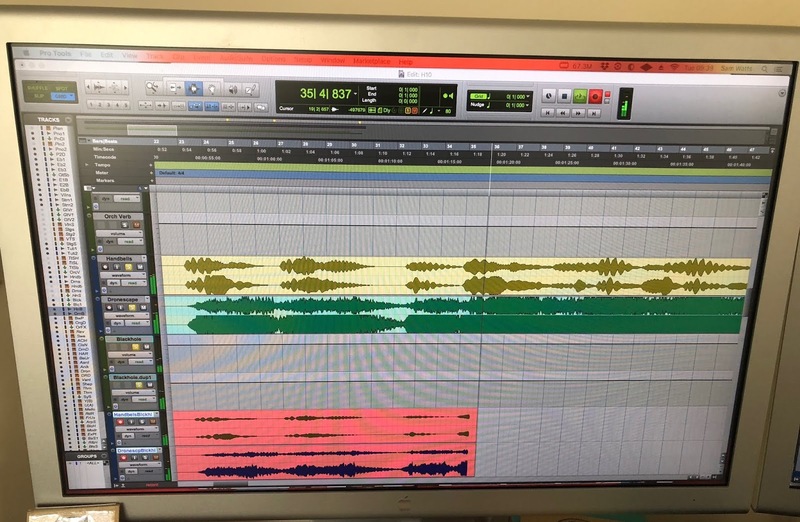 I usually do the cut-downs for both the full and the underscore versions (not something every production company requires), because it gives clients the most choice and flexibility when placing music and often means that they can use a single album for the majority of their production, giving the score a consistent sound. I really enjoy writing production music as it allows me to explore genres that I might not otherwise get a chance to write music for. It’s challenging to write without the input of a specific project, because you have no story or images to guide you (which is why the “wallpaper” style of music works best); I often make up a scene to write for so that I can capture a specific mood or style more easily. The more I write library albums, though, the easier it gets and the more I enjoy it. I had better get back to funky 8-bit music now. Feel free to ask questions or leave comments in the comments section below. I’d love to hear from people reading this blog! *If you’re lucky, that is! If a library track is really good, productions with very different genres and styles (think romance and horror) will use the same track – so it has to be versatile. Custom desk, studio equipment and a “Send Help” picture given to my by my brother Dan and his wife – apt when there’s a tight deadline and the computer isn’t cooperating! Let me take you through the setup. 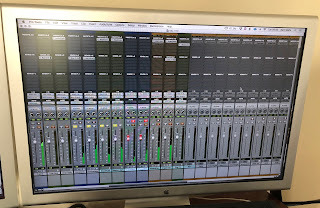 I work in a programme (known as a digital audio workstation, or DAW) called Pro Tools, which you can see on my screens. This handles the video, audio and MIDI (the signals from my master keyboard), and allows me to record real instruments or use virtual instruments and sample libraries. 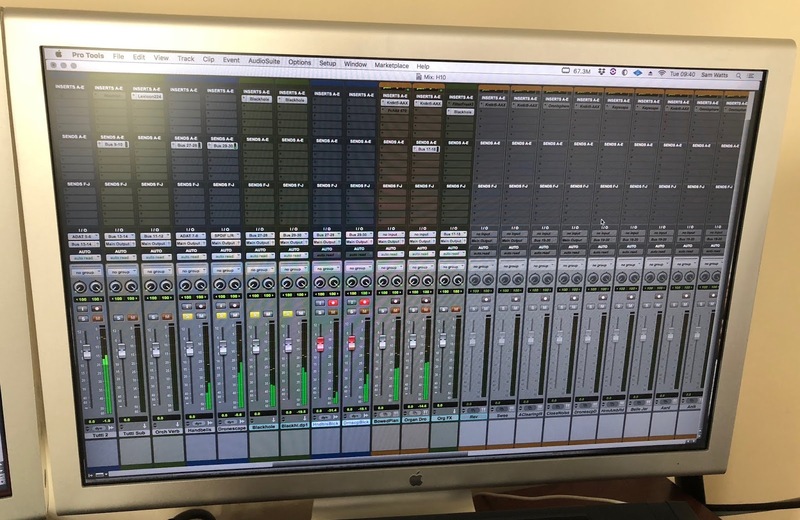 Pro Tools has two windows: Mix and Edit. They make it quite simple to use – one reason I love the programme. The Edit window is where you input all the data – like MIDI and audio files, time signatures, and tempi – and then edit it as needed. The Mix window is where you can, well, mix the music (more on that later). It is also the window you use to put virtual instruments and effects (like delays or compressors) onto tracks. Next to my computer screens, I have my monitor speakers. 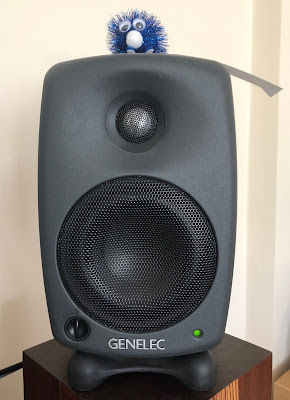 I use a set of Genelec 8020As, which I love. They’re great for writing and doing rough mixes, which is exactly why I need them. They’re real workhorses – I got them in 2005 and they’re still going strong! Under my screens, I have an Arturia Beatstep Pro, which I use mostly for drum programming (by playing the grey pads in different patterns). There are all sorts of twiddly knobs and buttons on it that I’m yet to get fully to grips with, but it’s a great bit of kit. Next to the Beatstep Pro, I have my Avid Artist Mix. 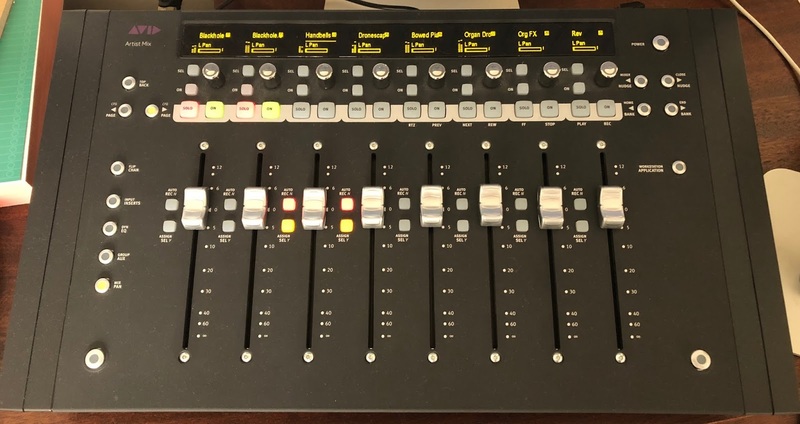 This is a mixing desk made by the same company that makes Pro Tools. 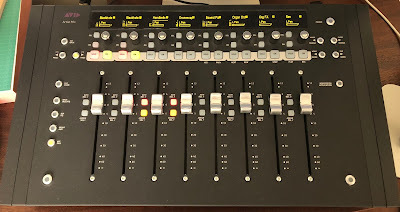 This allows me to mix with actual faders, which have a much nicer feel (and are much easier) than using a mouse to move the virtual faders in Pro Tools. My screens, the Artist Mix, and the Beatstep Pro all sit on top of a rack unit holding my outboard gear (anything external to the computer, like amplifiers or modular synths). What’s in mine? On the right, I have an M-Audio Midisport 8x8 and a UAD Apollo audio interface.The Midisport 8x8 is connected to my master keyboard (see below) via MIDI and to the computer via USB, so that I can record straight into Pro Tools. 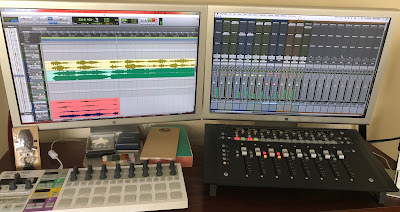 The Apollo is connected to the computer via Firewire and lets me hear what Pro Tools is playing, as well as plug in microphones and record real instruments. You’ll notice that there’s a gap in the right-hand rack; that’s where there should be an Eventide Eclipse, a great effects unit that adds all sorts of delays and reverbs. (GIVE ME BACK MY ECLIPSE, DAN!) I used it heavily on my score for Stormhouse. Top to bottom: M-Audio Midisport 8x8/s; UAD Apollo Quad; gap for my Eventide Eclipse (seriously, Dan, give it back). On the left I have a Focusrite OctoPre MkII Dynamic preamp and an Avid Digi 002 Rack. You plug microphones into the OctoPre so that you can record instruments. (“Isn’t that what you said the Apollo does?” Well, yes – the OctoPre is mostly a backup nowadays.) The Digi 002 is the first audio interface I ever owned. Made by Avid, it was linked into Pro Tools when I got it, but now it’s another emergency backup. Top to Bottom: Focusrite OctoPre MkII Dynamic, Avid Digi 002 Rack. In front of the rack unit is my Kensington trackball mouse and an EditorsKeys keyboard. I use the keyboard because it has all the shortcuts for Pro Tools marked on it. It’s very handy if I have a memory blank and can’t remember what to press for a certain command. Below that, I have my master keyboard. I use a Casio PX-5S stage piano. The keys are fully weighted so it feels like playing a real piano – great for getting proper expression into the music. Right at the bottom, I have the computers. 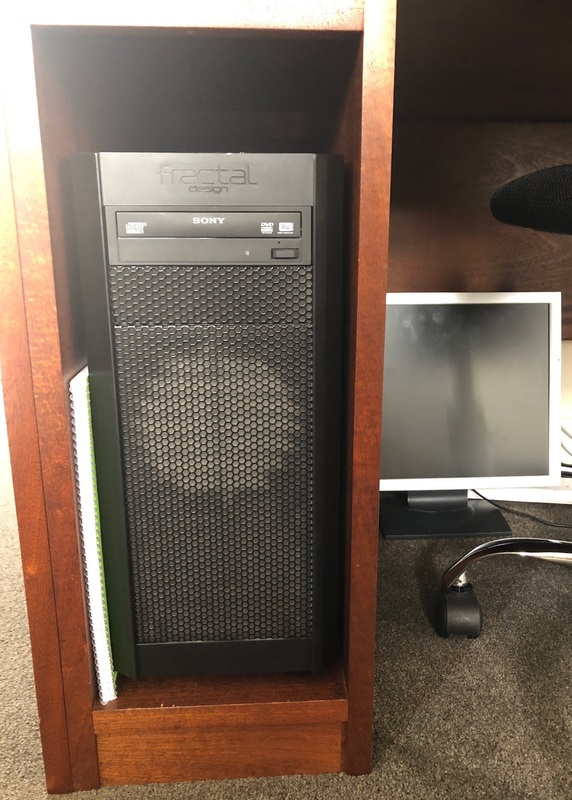 I currently run a 2009 Mac Pro with 32 GB of RAM and 18 TB of hard drives (half of which which is just for samples). I use OS X El Capitan (if it ain’t broke, don’t fix it). 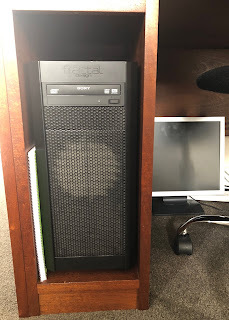 And, speaking of not fixing what ain’t broke, I also have a PC linked to the Mac using Vienna Ensemble Pro, a networking programme specifically designed for studios. That still runs Windows 7! Finally, it all sits on (and in) a custom desk made by my brother Joe. 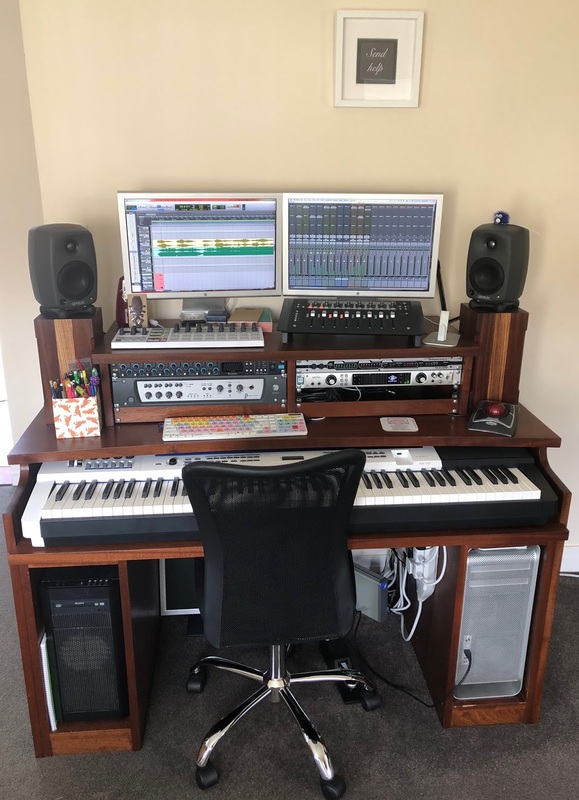 There’s a lot more furniture (drawers and cupboards) that is spread around the studio now, rather than all connected as it was in my old studio space – you can see it all in a blog post from when I first got it, many moons ago. It’s gorgeous and works much better than adapting a shop-bought desk. I haven’t got any acoustic treatment up yet; that will have to wait a bit. So, there you go. That’s my studio. I might go into more depth about things in a future post (I’ve already promised one about sample libraries and virtual instruments… must get on that…). Just a quick post this time. I'm currently reworking the Dracula score for a library album. For this, I'm having to either edit down or expand existing tracks to fit the library album format (yes, I know – I keep mentioning library albums and not explaining them. I promise I'll write a post about them soon!). Here's a little video of me adding a few extra bars of piano to one track. Enjoy! Well, I’m back with another blog post. This time, I’ll be talking a little about how I composed some of my latest album, Cypher. I’m going to look at the first track on the album, “Tetralogy I”, and deconstruct a section of it. In the press release for the album, I talked about how Cypher was never intended to be an album. It started out as a trial of a new virtual instrument (VI). Every time I buy a new sample library or VI (which I’ll explain in a later post), I write a track or two just to get to know it – but with Keyscape by Spectrasonics, those one or two tracks turned into eight. It’s such a great library of keyboard instruments that I couldn’t help using it to explore a more minimalist, contemporary style. I was so inspired that the entire album took just two weeks to write, record, mix and master. As the title suggests, the album explores the idea of numbers and codes. I wanted to use those concepts to show the wide variety of moods and sounds keyboard instruments can create. The tracks are titled by the number of instruments they use; each track is composed of blocks of musical ideas that are repeated, moved around, and manipulated, or of a single idea or repeating chord pattern that I explore through texture and rhythm. “Tetralogy I” and “II” also explore how multiple instruments can combine to create patterns – many of the “heard” melodies and basslines are actually a combination of several instruments. This is what I’m going to talk about in this post. I started by coming up with an idea for one piano – a riff, if you like. These were short ideas (two or four bars long) that I then repeated to make an eight-bar section. I wanted building blocks of music, so that each piano could be layered on top of the first to fill out a pattern. I could then change one or two of the patterns to change the sound slightly – or change all of the patterns for a more prominent shift in the music. After writing a few patterns for one piano, I built the next ones around the first, so that a bassline or melodic pattern appeared across two or three of the instruments. I might make Piano II and Piano IV, share a bassline, for instance, by making their patterns run up and down the keyboard in opposite directions. I kept going, layering corresponding patterns (for Piano II, then III, then IV) on top of one another until I’d written the whole piece. It was a challenge to fit all the parts together without it sounding too muddy or cluttered – but it was a fun challenge, like a really tough jigsaw puzzle. So that there was a bit of structure to the piece, I sometimes returned to previous patterns, rather than constantly creating new ones. Occasionally, I kept a pattern in two or three of the pianos and added something a little different on top to stop it from being too repetitive – a difficult task when the whole concept is repeating patterns! Hopefully, that explains a little about the process of writing Cypher. It was a lot of fun, even if pieces like “Tetralogy I” were challenging at times. I’ll be back soon with another post, probably something a little easier on the brain! Like what you hear? You can stream Cypher on Apple Music, Spotify, Deezer, Napster and many other platforms, or buy it on iTunes, Amazon, Pro Studio Masters and more! Sorry I’ve been a little quiet. I’ve been away seeing my family and enjoying the sun. Sun! Actual, like, summer-style sun. On the coast. It was lovely. I was staying with my brother, Dan (pictured below pulling his most alluring of faces) – the man responsible for mixing my music. The normal process is that I write, make sure everything is as close as possible to how I’d like the finished product to sound, and then I hand it to Dan. 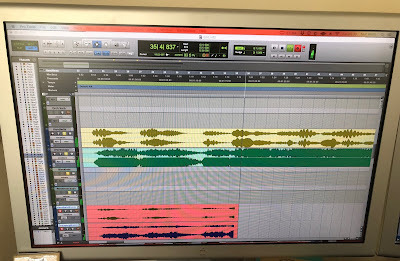 He waves his magic wand and says a spell (or something – I don’t know how it works – mixing is an ancient, mystic art) and sends it back to me sounding all sparkly and great. I’ll go into our working relationship more in a later post. Who knows – I might even get him to write a guest post about the process of mixing on here! We didn’t set foot in his studio this time, though – although I did leave him with a hard drive full of work. Instead, we enjoyed a barbecue with the rest of our family. It’s such a hard life. I think Eddie enjoyed himself, too. Anyway, I’ll return soon with some chat about my latest album, Cypher.